“Excalibur”nonstick interior reinforced with stainless steel. 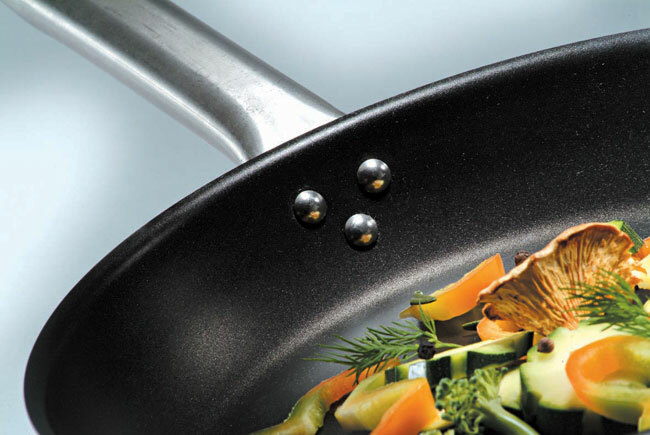 Comfortable,stay-cool stainless steel handle. Suitable for all heat sources. 7 7/8”, 1 1/2”, 7/8. 9 1/2”, 1 1/2”, 1 1/2. 11”, 1 3/4”, 2 5/16. 12 1/2”, 2”, 3 3/8.